Is there anyone else here who craves the lovely Sean...or Sam? Heck yes! lol He's cute! Post subject: What do you think? Ok this thread needs a kick!! lol! What do you think to Sean's portrayal of Sam in comparison with the books? DO you think the film 'Sam' is too hard/rough/etc or do you think the book 'sam' is too soft/wet/etc? 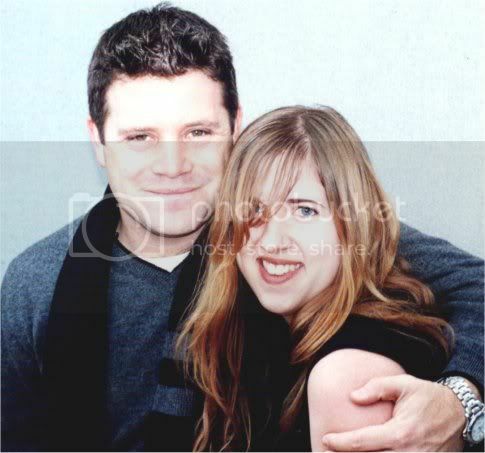 Sean Astin was in Boston last year doing a book signing in conjunction with the Trilogy exhibit. I went to see him with my sister (we dressed up of course!) and while we go there too late to get in the massive signing line, this security guard let us stand a few feet from his table for a while and he waved at us. I think his portrayal of Sam was spot on. Loved it. Oh gosh....I think he is soooooo hot. I don't know why I just really do. Queen Arwen you are really lucky. I'd love to just see him in person. I think he did a great job on sam...he was right on. His performance was one of the best i've seen and I can't imagine anyone else playing sam but him. Location: Obessing about NCIS and House,M.D. I love his daughter is so cute and she got to play in lotr. That is so not fair. Eowynellie I couldn't agree with you more. Everyone is so obessive over frodo and legolas but Eowyn is my favorite female charrie and Sam is my fav. male character. I don't think people acknowledge sam that much as a terrific character and a very hot guy. I like Sam very much. Ok, Frodo is my number 1, but Sam is really cute, both in the films and books (a bit more in the films *smile*). But heÂ´s actually not my dream boy, I just love him for his courage and so on. Wow, Eowyn rocks! But I liked her in the books more than in the films. yet we've only just begun.